Nearly new construction on over an acre of land in River's Trace! This home will blow you away with the detailed finishes and well maintained spaces. Fresh paint, detailed moulding, and new lighting greet you as you enter the home and set the tone for a beautiful living environment. Open living concept is all around you with an oversized Family room, Eat- in Kitchen, and formal dining space. The entertainment is endless in this immaculate home with hardwood throughout the main level and easy access to the outdoor spaces from the living area. Bright white shaker cabinets in the kitchen keep the feeling light and bright with direct entry from the attached garage. Upstairs, the 3 addition bedrooms are all well appointed with large closets and flexible space. The master bedroom is luxurious with a spacious layout, huge WIC, and en suite bath. This will not disappoint! Beautifully landscaped with an irrigation system to keep your yard looking green and flowers blooming. An impressive custom fire pit area in the backyard complete with gorgeous landscaping and fresh mulch enhance the entertainment factor for this home. This home is a must see! Welcome home to 15718 Haggis Drive. SchoolsClick map icons below to view information for schools near 15718 Haggis Dr Chesterfield, VA 23838. 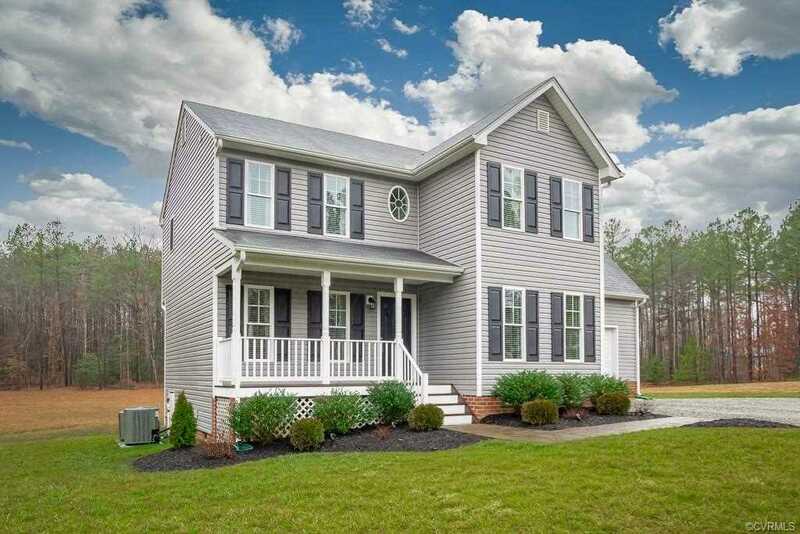 Home for sale at 15718 Haggis Dr Chesterfield, VA 23838. Description: The home at 15718 Haggis Dr Chesterfield, VA 23838 with the MLS Number 1904002 is currently listed at $250,000 and has been on the Chesterfield market for 76 days. You are viewing the MLS property details of the home for sale at 15718 Haggis Dr Chesterfield, VA 23838, which is located in the Rivers Trace subdivision, includes 4 bedrooms and 3 bathrooms, and has approximately 1734 sq.ft. of living area.